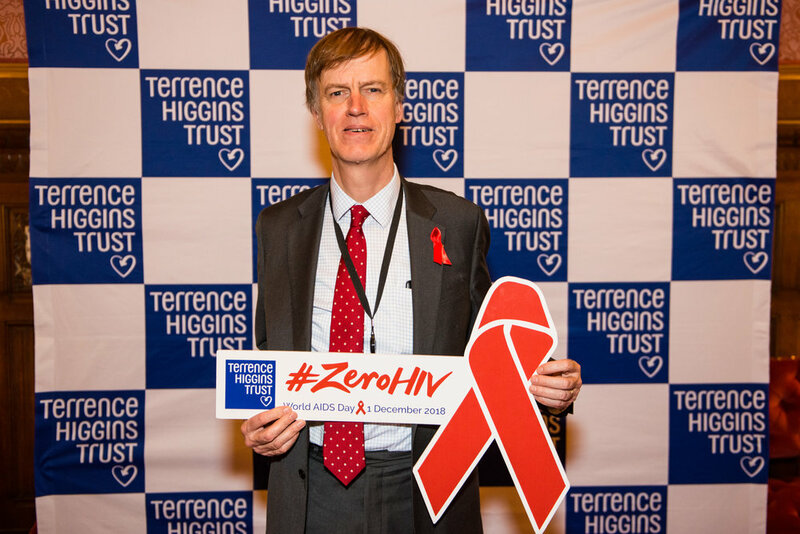 Stephen has spoken out ahead of World AIDS Day by calling for ‘Zero HIV’ – an end to HIV transmissions and the elimination of HIV-related stigma at the Terrence Higgins Trust’s reception in Parliament. The reception was held a few days ahead of the 30th ever World AIDS Day on 1 December. The reception brought together politicians, campaigners, medics and people affected by HIV. The event featured remarks by Minister for Public Health, Steve Brine MP and Terrence Higgins Trust Patron, Lord Michael Cashman. Over three decades after the HIV epidemic began in the UK, HIV was back at the top of the agenda in Parliament ahead of World AIDS Day. Decision-makers also heard from Bakita Kasadha, a young HIV activist. Parliamentarians from across the political spectrum including Stephen wore their red ribbons with pride, while reflecting on how far we’ve come, but how far we still have to go to end HIV transmissions in the UK as we strive towards ‘Zero HIV’. Newer PostStephen: "Asylum seekers must be given the right to work"